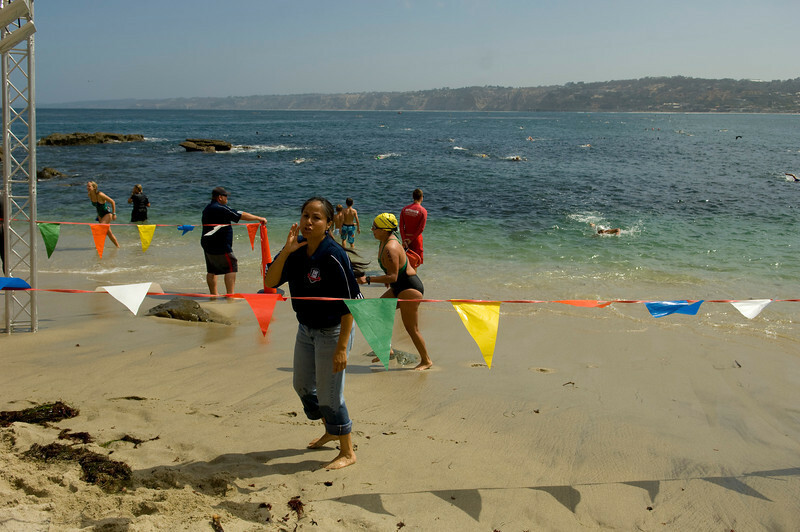 La Jolla Cove Swim Club's annual 1.5-mile Pier to Cove Swim. The swim begins at Scripps Pier in La Jolla and ends at La Jolla Cove. Approximately 250 swimmers participated in this year's event.